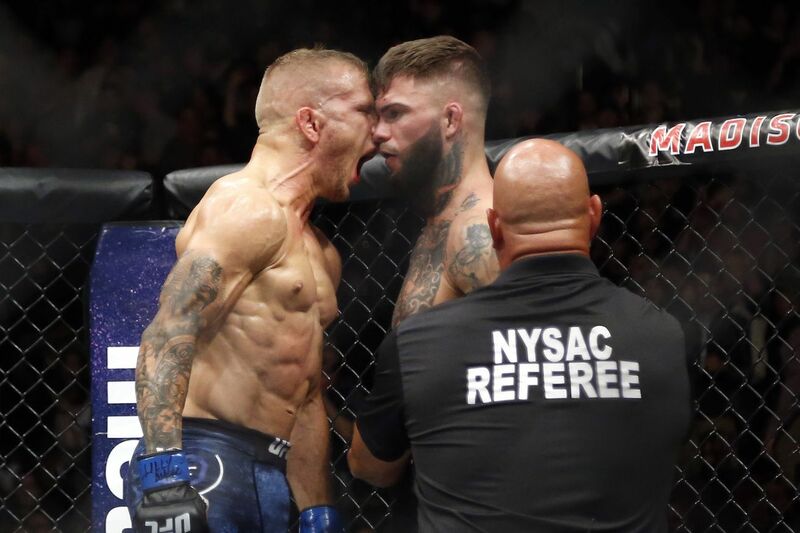 According to Cody Garbrandt, coach Duane Ludwig knew T.J. Dillashaw was cheating. T.J. Dillashaw’s legacy could be tarnished, but what about the reputation of his head coach, Duane Ludwig? According to ex-teammate turned arch rival Cody Garbrandt, Ludwig, who trains Dillashaw out of Treigning Lab in Laguna Hills, California, knew his prized student was using performance-enhancing drugs. ‘No Love’ put Dillashaw and Ludwig on blast in a recent post on social media. “Oh for sure Duane is crying that was his life’s work invested into him but Duane knew he was on the juice to. What a leader he is!” Dillashaw posted in response to a fan on Twitter. Dillashaw, the former UFC two-time bantamweight champion, has been suspended for two years by the United States Anti-Doping Agency after testing positive for EPO (recombinant human erythropoietin). The former Team Alpha Male product knocked out Garbrandt in back-to-back championship fights, but Garbrandt wants Dillashaw’s previous samples re-tested for EPO. Garbrandt accused Dillashaw of using EPO back in 2018 and was ultimately proven right. Dillashaw’s coach, Ludwig, has yet to respond to Garbrandt but the former UFC welterweight fighter did comment on TJ’s suspension. “He is not the first nor will he be the last but yes it is inexcusable! People make mistakes BUT ‍♂️ he’s still my Ninja! #StillMyNinja #KillaShaw ⚡️ , ‘He that is without sin among you, let him cast the first stone.’ Jesus Christ,” Ludwig posted in defense of Dillashaw. Dillashaw has been removed from the UFC rankings and is not eligible to return to the Octagon until January 19, 2021 at the earliest.